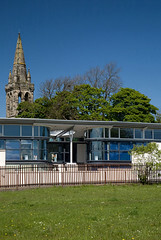 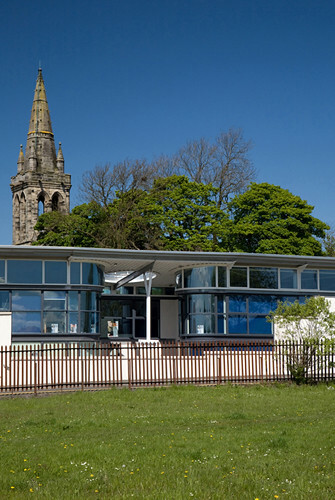 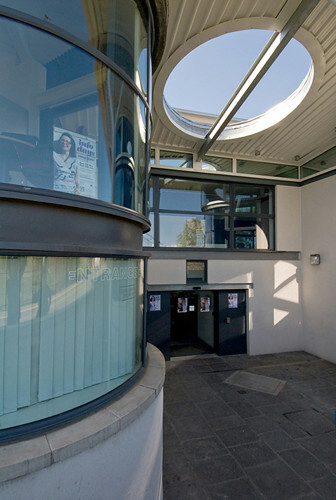 The aim of the project was to provide an open learning environment which draws in potential students from all sectors of society and also provides a new home for the classes already located within Kirkintilloch by Strathkelvin Further Education Centre. 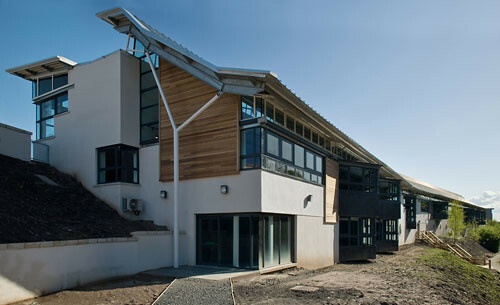 The building houses an open learning "resource" centre, as well as more traditional teaching rooms, giving learning opportunities and vocational courses for people who missed out on further education or who want to return to it later in life. 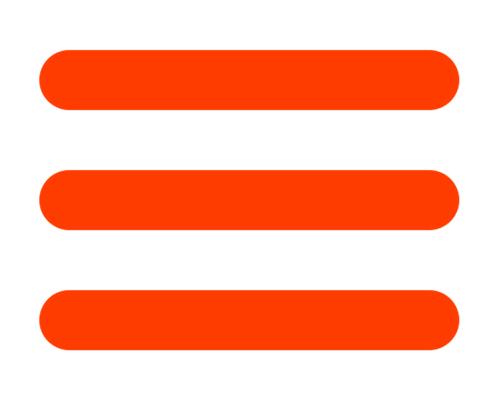 A major emphasis within this idea is the use of computers as an electronic library as well as for teaching basic computer skills. 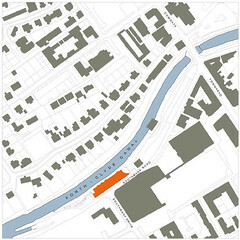 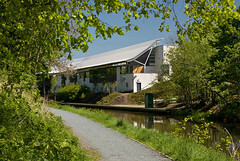 The site forms part of the narrow strip of ground between the Forth-Clyde Canal and Southbank Road in the centre of Kirkintilloch. The canal bank itself slopes steeply into the water and was previously covered in trees and scrub vegetation. 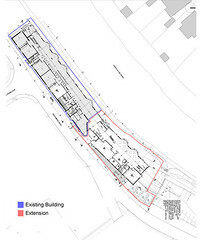 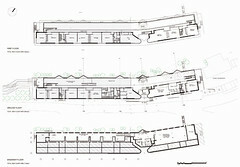 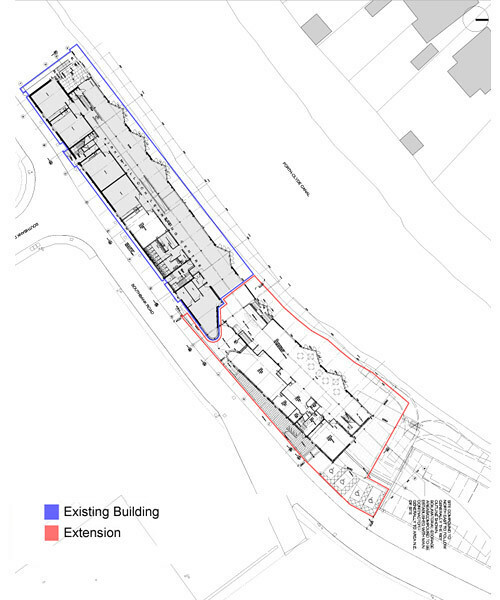 The building is laid out as a linear plan with a two storey block to the south side housing classrooms and offices. 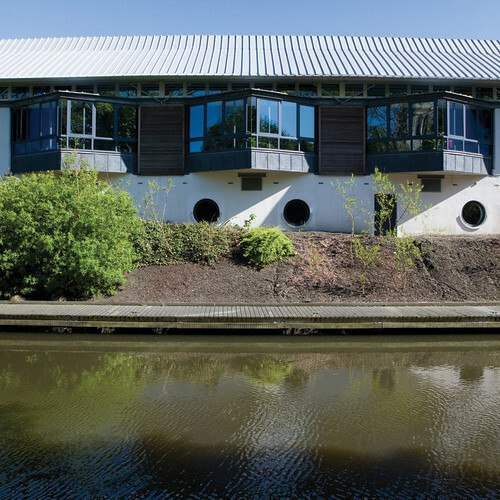 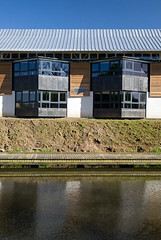 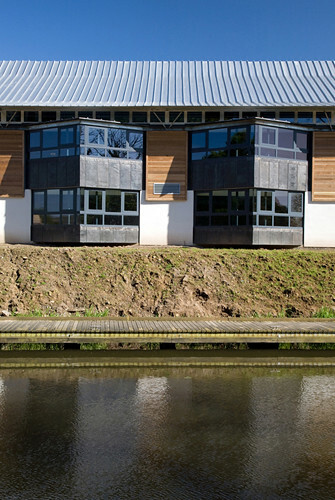 Against this sits a lean-to structure which houses the open learning facilities and projects out onto the canal bank. 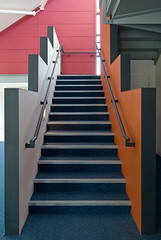 The entrance to Phase 1 (previously to one end of the linear plan) is now positioned in the centre of the completed building. 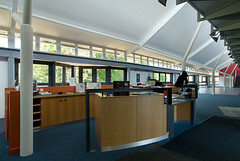 The reception orientates the visitor and first time student within the main double-height space, allowing a clear reading of the building to be made with the majority of the classrooms and computer resource space to the left and the café and other administration offices to the right. 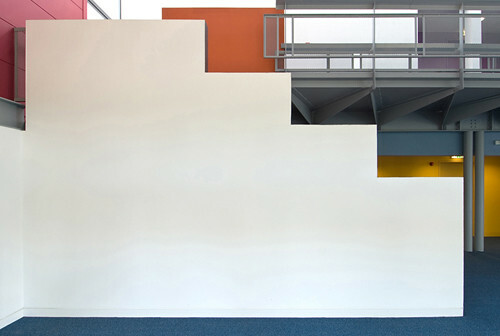 A void behind the reception, through which the stair descends past a seated area, which protrudes out over the canal, makes connection to the lowest level which houses the open resource areas. 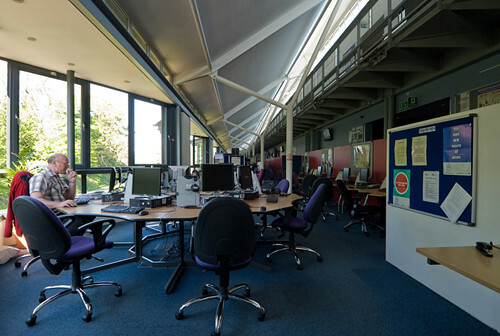 The main open learning space looks over the canal with a series of triangular bays forming workspaces almost among the trees retained on the canal bank Access to the classrooms and other facilities is from an open gallery on each floor, the aim being that all activities take place in the open learning area except individual classes. 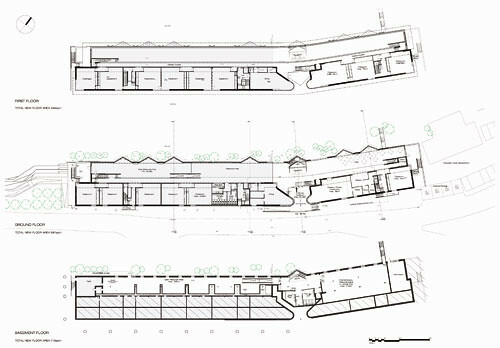 The classrooms then face out to Southbank Road with the upper level rooms sitting beneath a light weight roof edge and clerestory windows. The lean-to roof and the classroom roof are separated by a continuous roof light which allows sunlight into the main space, controlled by moveable shading systems. 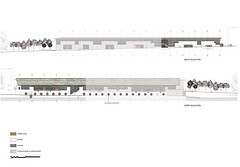 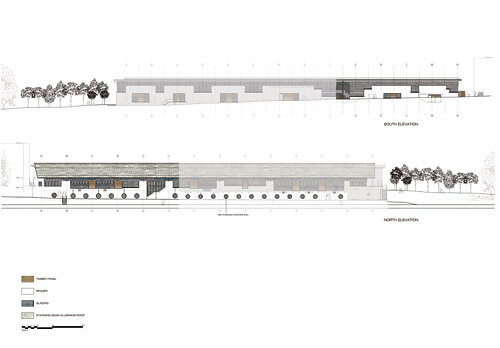 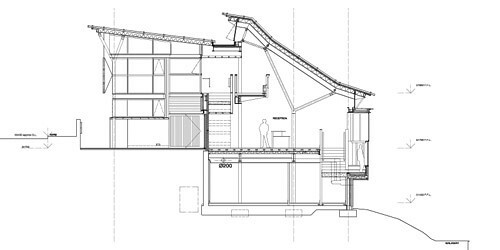 The roofs are intended to form a simple datum below which the planes and levels within the building are arranged to give a dynamic composition to section and facades. 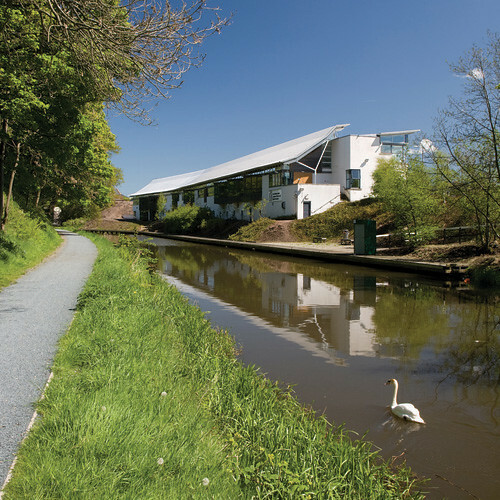 The canal bank will be replanted so that the building is amongst trees. This should maintain the wildlife corridor of the canal as it comes into the semi-urban town centre. 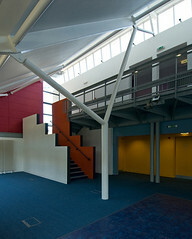 The building as a whole was completed in February 2009.